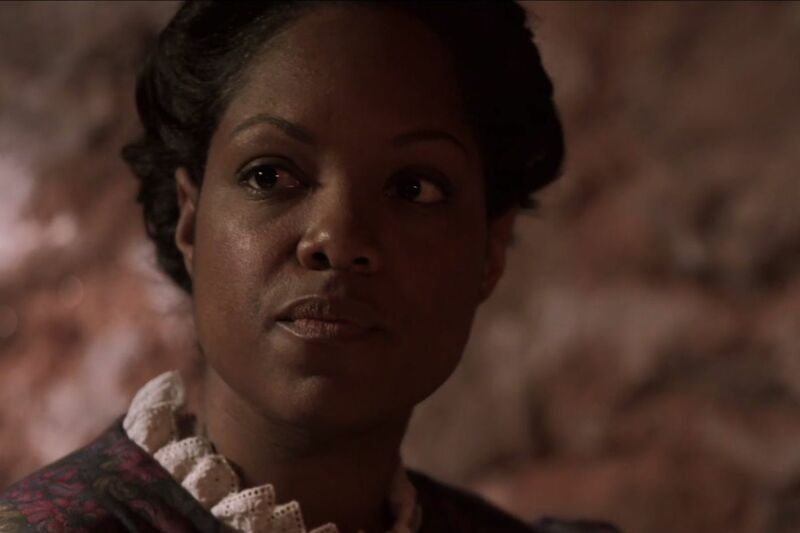 Belinda Davis as Harriet Forten Purvis in the film "Sisters in Freedom." At another screening, a teenage student told Anderson she knew about abolitionists — but not that blacks and whites worked together to fight against slavery. “She said she’d learned black history, but not this history," Anderson said. "She seemed in awe and said, ‘I don’t know anything about this. Why don’t they teach us about this in school?' "
Amy Cohen, educational director of History Making Productions, which produced the film, noted that it’s not only children who haven’t learned these stories. Many people, for instance, have never heard of the burning of Pennsylvania Hall, she said. By 1838, many of the abolitionist groups joined together to form the Pennsylvania Anti-Slavery Society, and they needed a place to hold meetings and lectures. The building near Sixth and Race was funded with money the group raised. Angry protesters outside the burning of Pennsylvania Hall, the home of the Pennsylvania Anti-Slavery Society, in the film "Sisters in Freedom." Three days after it opened on May 14, 1838, after Angelina Grimké Weld had spoken about the beatings and brutality she had witnessed in the South that day, the building was was burned down at night by a mob of white Philadelphians upset about an integrated group of men and women meeting together. The film notes that people in the North, as well as banking and textile industries, profited from slavery. “People don’t learn that there was slavery here,” Cohen said. “They learn the Underground Railroad was here, not that there was slavery." The film starts with the story of Ona Judge, an enslaved young woman who ran away in 1796 from George Washington’s President’s House at Sixth and Market, more than 30 years before the women’s anti-slavery society began. The film describes how Judge, portrayed by actor Niya Colbert, could shop in markets where she saw free black people selling pepper pot soup and oysters or watch the construction of Mother Bethel AME Church. Eventually, Judge fled Philadelphia on a ship bound for Portsmouth, N.H. She later told a newspaper that as George and Martha Washington were packing to leave as his presidential term was nearing its end, Judge packed her belongings, too. “I may have been born a slave, but I am determined not to die a slave,” Judge said. “Sisters in Freedom” will be screened at 11:30 a.m. Thursday at Community College of Philadelphia, Center for Business and Industry, Room C2-28, 1751 Callowhill St.
At 7 p.m. Thursday, the Woodmere Art Museum, 9201 Germantown Ave., will show the film in conjunction with the exhibit “Freedom’s Journal: The Art of Jerry Pinkney.” The art includes watercolors Pinckney painted to illustrate a National Geographic article by Charles L. Blockson about the Underground Railroad.